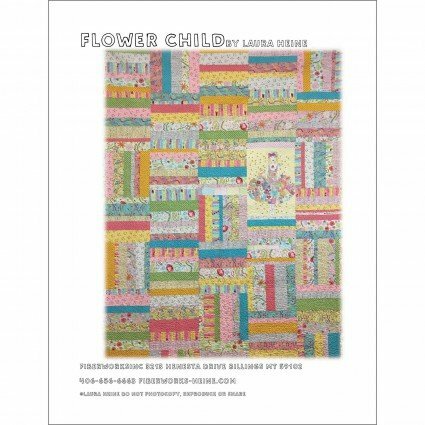 Flower Child pieced quilt pattern by Laura Heine features her "The Dress" fabric line by Free Spirit fabrics. This is a great large lap quilt that can be make with different fabrics and feature a panel that is about 14-15" wide. Finished size: 68" x 92"